Beautiful Titan Model Home ~ The Makayla Ferrera by Titan Homes LLC. 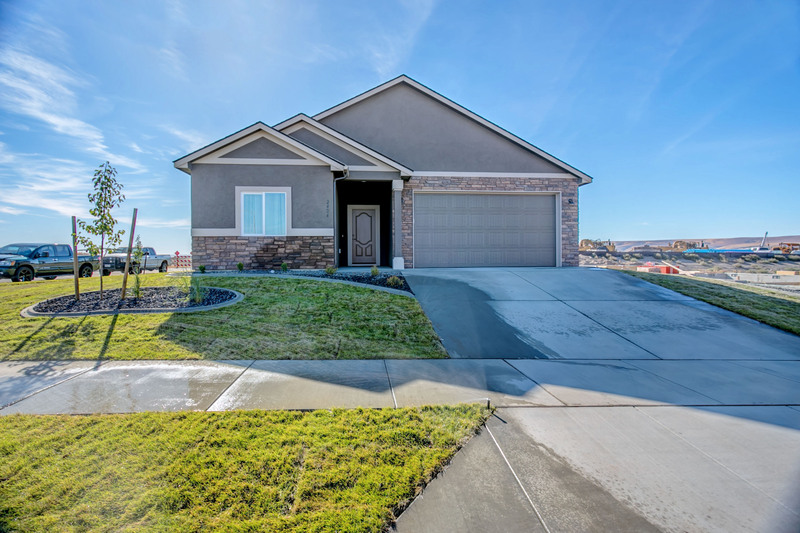 This beautiful single level home has all the lovely details you expect from Titan and located in the very desirable West Village neighborhood. This very popular floor plan features LVP flooring, beautiful gas fireplace with stone accents and built-ins, a gourmet kitchen with quartz counter-tops, full tile back-splash, pantry, gas range, beautiful wood cabinetry, and a stunning copper sink and hood! There are 3 large bedrooms, and 2 full bathrooms, including a beautiful master suite with barn-style door, walk-in closet, dual sink vanity and huge custom tiled walk-in shower. This home offers a 2 car garage and easy access to shopping, freeway and other great amenities. HWY 82, exit onto Dallas Rd, Right on Trowbridge, Right on Bella Coola Ln, Left on Smitty, Left on Morris, Right on Brodie. « The Presly by Pahlisch Homes with room for a SHOP!